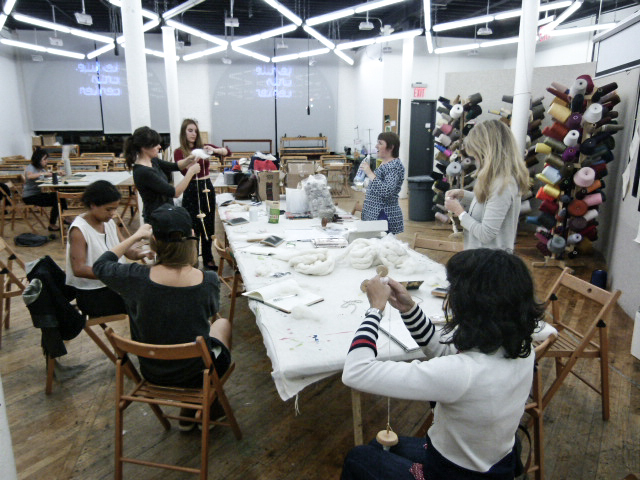 The first two AIR seminars we had were with Heather Love a professional yarn spinner specialized in luxury yarns made of rare wools. 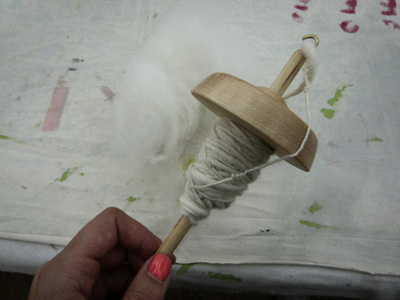 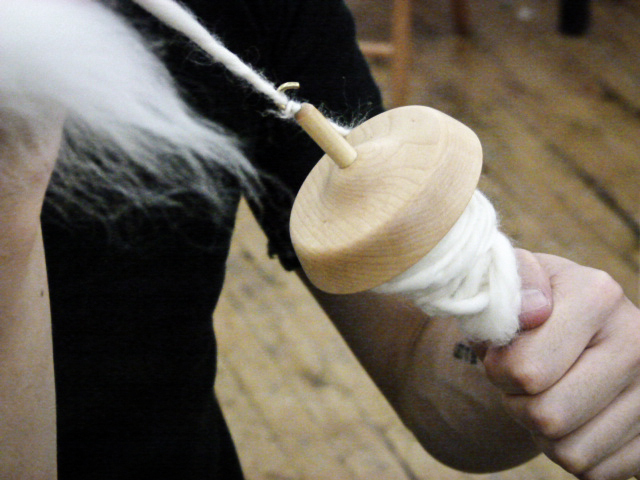 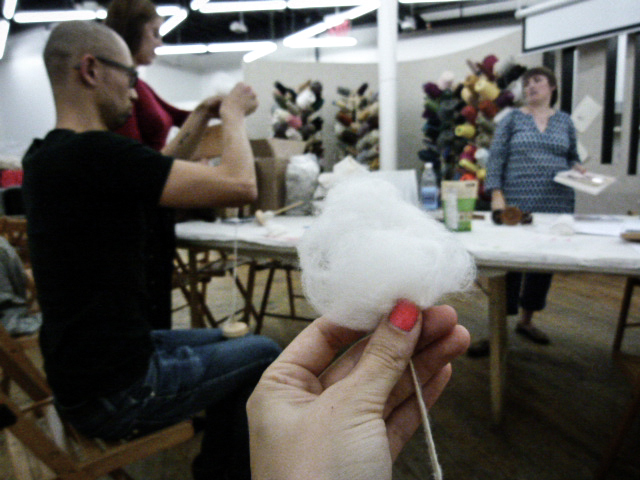 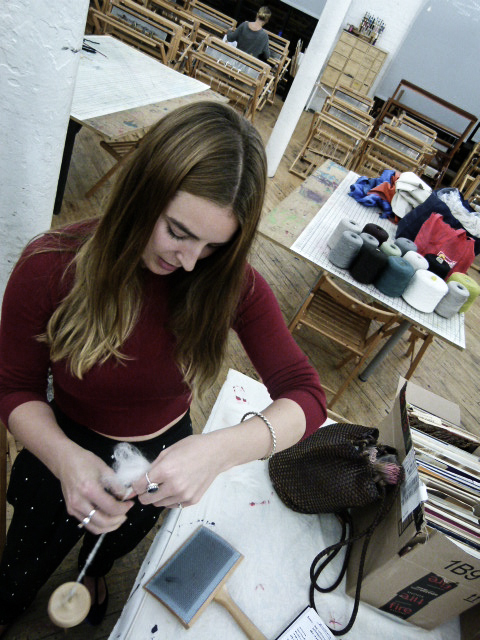 She went through the basics of spinning yarn with different fibers with a drop spindle, a wheel and an automatic wheel. 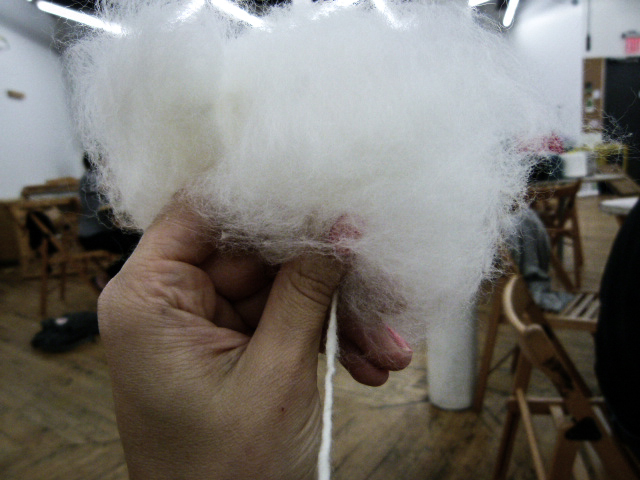 These seminars were very inspiring to me and I will start creating my own yarns treated with thermochromic pigments soon. I will come up with an update on my process soon.